Darby Jones becomes the new owner of Mahneke Motors, carrying on a 30 year tradition or quality service. Read on to see the accolades Darby has brought and recognition for high-quality service. Of the more than 759,000 automotive technicians working in the United States, 20 outstanding individuals have qualified for the 2011 World Class Technician Award. The Automotive Aftermarket Industry Association (AAIA) and National Institute for Automotive Service Excellence (ASE) work together to recognize these professional technicians who have tested and obtained ASE certification in 22 specialty areas during the 2010 test administrated by ASE. The Automotive Service Association (ASA) member businesses received Golden Quill Awards for communications excellence. The award, presented during ASA’s Annual Convention recognizes individual ASA members for their Web sites and television commercials. Entries were judged by Amy Rae Mullins, a business-to-business marketing and design professional in Fort Worth, Texas. 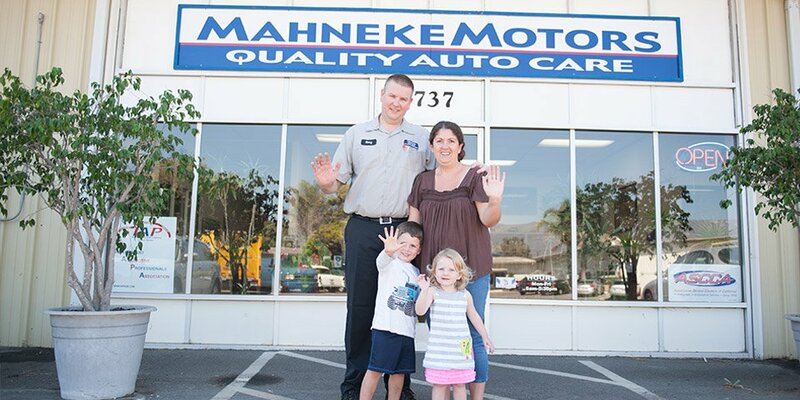 Mahneke Motors in Goleta, California, owned by Darby Jones, won the award for best television commercial, a 30-second spot advertising this mechanical repair businenss. Mullins said the commercial quickly establishes credibility with the viewer by stressing the shop owner’s experience. It then builds on that credibility by highlighting the shop’s certified technicians, breadth of services offered and makes of vehicles repaired, and use of state-of-the-art equipment. The commercial’s closing tag leaves a positive impression, Mullins said, noting the importance of creating a lasting image with viewers. The Automotive Service Association is the largest not-for-profit trade association of its kind, serving more than 12,000 businesses and approximately 65,000 professionals from all segments of the automotive service industry. ASA’s headquarters is in Bedford, Texas. ASA advances professionalism and excellence in the automotive repair industry through education, representation and member services.